Sprint, which currently owns the majority stake in Clearwire, is willing to buy all the remaining stock of the company at $2.90 per share, which means that the value of the company is somewhere around $4.23 billion. US carrier number 3 already owns 51.7% of Clearwire, however, so it will have to shell out $2.1 billion for the remaining stock. This offer by Sprint comes with a 5% premium to Clearwire's stock price from Wednesday, but it should be noted that by the time, Clearwire stock had gone up after rumors of Sprint's interest in the company emerged. That is why Reuters reminds that Sprint's offer actually represents a 20% premium if we take a look at Clearwire's December 10 closing stock price. The offers is currently being evaluated by a committee of Clearwire's board. They need to quit buying up companies & making contracts that will eventually bite them in the rear and start building their network since their service is the worse of the big 4 national carriers. This will help them with building up their LTE and soon launching their LTE Advanced network. Clear has already done trials in Phoenix for their LTE Advanced. Clearwire also owns a large amount of spectrum. When the Big Papa's in Congress say "stop doing business with Chinese telecoms", they mean it. Sprint is a U.S. Government service provider. I believe this is the unmentioned angle of the story that all news outlets have currently overlooked. I would expect there have been very strong, clear words spoken between these two telecoms and Congressional leaders - and lawyers on both sides. 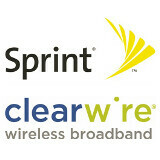 The Sprint purchase allows Clearwire a convenient divorce from a minority Chinese stock ownership/holdership. I guess Softbank is telling them to buy clearwire. Softbank's strategy is to become a major carrier globally so they had to acquire carriers outside of Japan; Sprint in the US and Clearwire in Europe. softbank is owned by a south korean native japanese businessman, which means it probably took this guy a miracle to reach up to that position. i think softbank acquisition of sprint will change the entire race of the wireless carriers in the US by putting money from softbank to sprint network. sprint will soon deploy 800mhz spectrum LTE and 1X with 1900mhz LTE and 2500mhz LTE, which gives them flexibility of the network. 800mhz 1X will give significant boost for the reception of the voice calling and texting, just as verizon. i think 2013 will be a fantastic year for sprint customers for fast LTE deployment and signal upgrades. very good time to buy sprint stock if i were you.